Ford has taken the wraps off a self-driving Fusion – the American version of the upcoming Mondeo – at a technology show in Barcelona. The car creates a 3D image of the world and then uses it to navigate, avoiding obstacles slowing down and speeding up autonomously. Ford’s effort isn’t the first attempt at a self-driving car – there are numerous – but it shows the potential direction for future technologies, which could complement things like park assist and active cruise control and would take the hassle out of traffic jams. 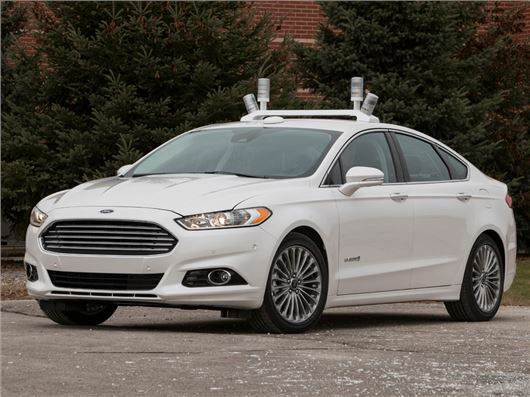 The self-driving Ford Fusion uses infrared scanners to detect the road ahead, measuring the world 2.5m times every second. The data collected by the scanners is then translated into a 3D model of the environment around the car. The car’s onboard systems then analyse the 3D image and respond accordingly, steering, accelerating or braking to avoid hazards like pedestrians or other vehicles as they emerge, while following the path of the road. The reality of driverless cars is some way off, not least because of the legal implications involved in establishing who is to blame if there is an accident, but manufacturers continue to develop the technology with the aim of improving car safety.